Confession: I was one of these women who went to get a tattoo “on a whim.” One minute, I was looking at pictures of celebrity tattoos, specifically Eve’s cheetah paws (super badass); the next minute, I’m sitting in a chair with a needle heading my way. Luckily, I totally froze up at the last second and changed my mind before the needle hit my skin. I ended up walking out of the salon without a tattoo — and I’m so glad I did. Why? Because two years later, I went back to get the tattoo of my dreams. And this time, I was 100 percent sure. Click here to read our complete checklist of tattoo dos and don’ts. If you’re contemplating some ink, you probably have a few questions. Like, how do you find a good tattoo shop? Or even a good tattoo artist? And what should you expect once you actually make the appointment? To get some answers, I talked to Kim Saigh, tattoo artist and co-owner of Memoir Tattoo (you might recognize her from the first three seasons of LA Ink), and Paul Oafenhammer, tattoo artist at Black Diamond Tattoo. Trust me: getting a bad tattoo (especially when you’re not ready) is one mistake you don’t want to make. 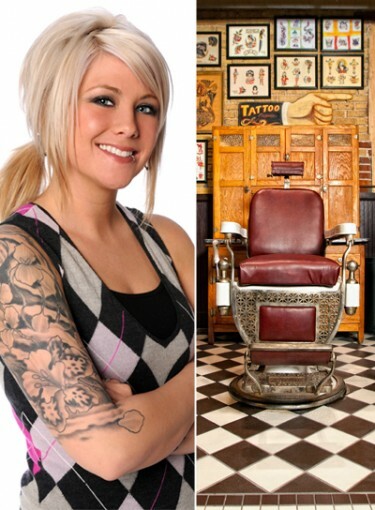 So check out this tattoo guide for all the info you need before you sit in that chair.